What? 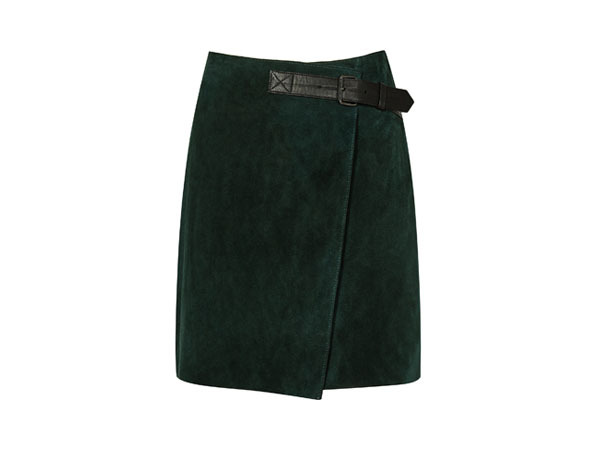 Chase suede mini wrap skirt in forest green. Priced at £235.